(Cross-posted from our partner site West Seattle Blog) An Amber Alert was sent out less than an hour ago for Aaron Lopez, a toddler who is missing, likely with his (non-custodial) ... Read more..
From North Highline Unincorporated Area Council president Barbara Dobkin: NHUAC meeting: When: Thursday, April 2 @ 7pm Where: North Highline Fire Station (1243 SW 112th Street) Mark your calendars and plan on ... Read more..
After a rainy night, semi-surprise sunshine greeted the third annual White Center 5K this morning. Our video, above, shows the runners/walkers heading out from the starting line at White Center ... Read more..
Traffic/transit/travel alert! North of here, Highway 99 is closed from the West Seattle Bridge to the Battery Street Tunnel until 6 pm today and then again 6 am-6 pm tomorrow ... Read more..
(December 2012 gathering honoring murder victim Margaret Ryan) By Tracy Record White Center Now editor 268 months in prison - 22 years and four months - is the sentence that King County Superior ... Read more..
Local students will benefit mightily from the new White Center Library, so it was only fitting they participated in today's groundbreaking ceremony: Much ceremony and celebration accompanied the formal groundbreaking this ... Read more..
We received an alert this evening including word that the 97-year-old house in that King County Assessor's Office photo is about to be no more: On March 19, 2015, the South ... Read more.. Sent by County Councilmember Kathy Lambert today: Council adopts updated noise guidelines for Unincorporated King County Simplifying and clarifying The Metropolitan King County Council today unanimously adopted a modernized and ... Read more..
1:25 PM: A person with a warrant out for their arrest is "holed up inside a house near SW 116th/14th SW," according to the King County Sheriff's Office, which says ... Read more..
King County Sheriff's Office is at the scene of what media-relations officer Sgt. BJ Myers describes as a crash near 11th/108th, with a vehicle having flipped while its driver was ... Read more..
By Tracy Record White Center Now editor Another information-packed monthly meeting of the North Highline Unincorporated Area Council. You really had to be there to get it all, but here are what ... Read more.. 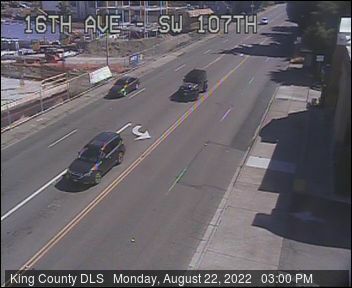 The King County Sheriff's Office has reported via Twitter that a motorcycle rider is dead after a collision with a truck at 1st Avenue S./112th. The rider was a 39-year-old ... Read more.. This morning we happened onto an online discussion of early morning gunshot/explosion-type noises just east of White Center. Following up to see what we could find out, King County Sheriff's ... Read more..
From a post in the forum of our partner site West Seattle Blog: To potential craftspeople and farmers: Several businesses in White Center are looking to begin a fun, eclectic Sunday ... Read more.. Here's what's coming up this Thursday at the March meeting of the North Highline Unincorporated Area Council: Thursday, March 5 at 7 pm North Highline Fire Station (1243 SW 112th Street) Plan on ... Read more..